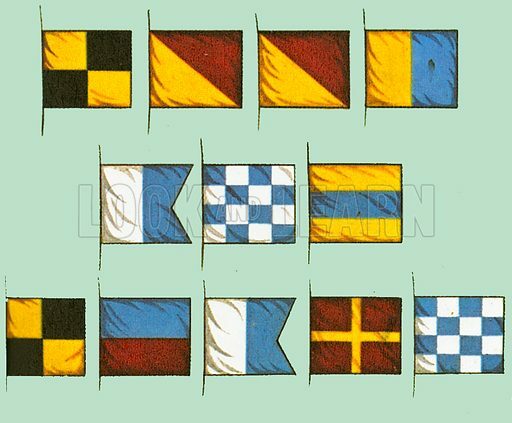 Here is a well known title spelled out in the International code of flags used by shipping. Look and Learn. Note that the words have 4, 3 and 5 letters and the two middle letters of the first word are the same. Available worldwide for immediate download up to 4,402 x 3,635 pixels.